This past week, composer Danny Elfman recorded the score to the highly anticipated film Spider-Man. ScoringSessions.com got a chance to pop in on the session, and are pleased to provide you with a few pix. We can’t say too much right now, but this is a great score that will have Elfman fans chomping at the bit. So, here are a few pictures to hold you over for now. 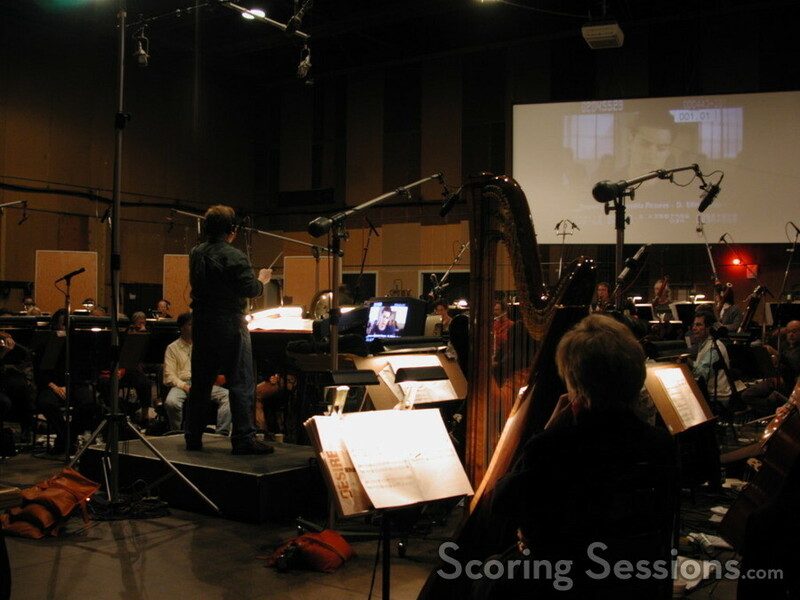 The exciting thematic score was recorded with a 90-piece orchestra at Sony Studios, in Culver City, CA. 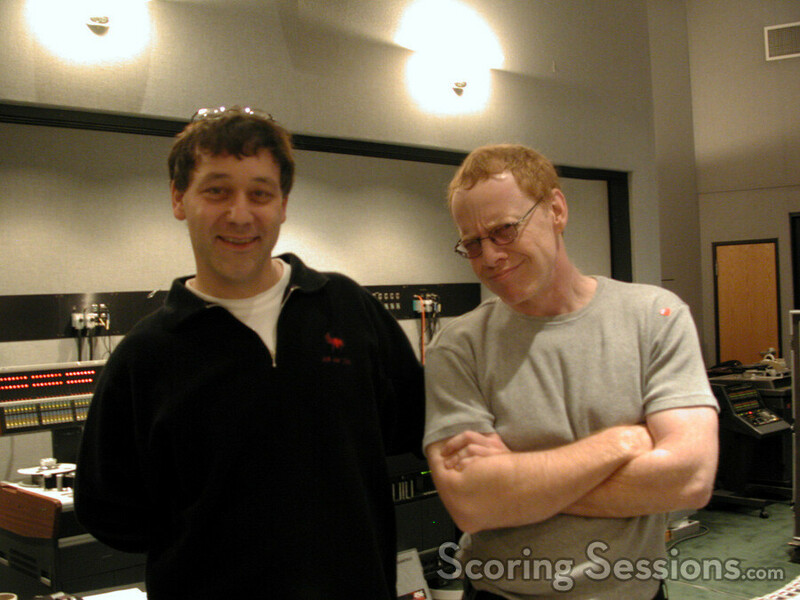 Conducting the session was Pete Anthony, a frequent conductor for Elfman’s scores. 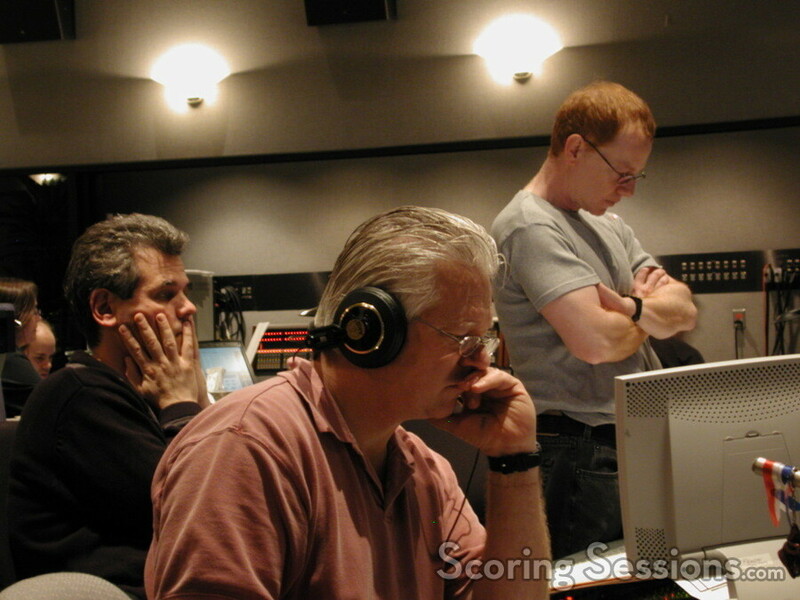 Orchestrator Steve Bartek (left), Sony stagehand Mark Eshelman (center), and composer Danny Elfman (right) contemplate a cue. Spider-Man opens nationwide on May 3, 2002. Special thanks to Debbi Datz-Pyle and The Music Team.